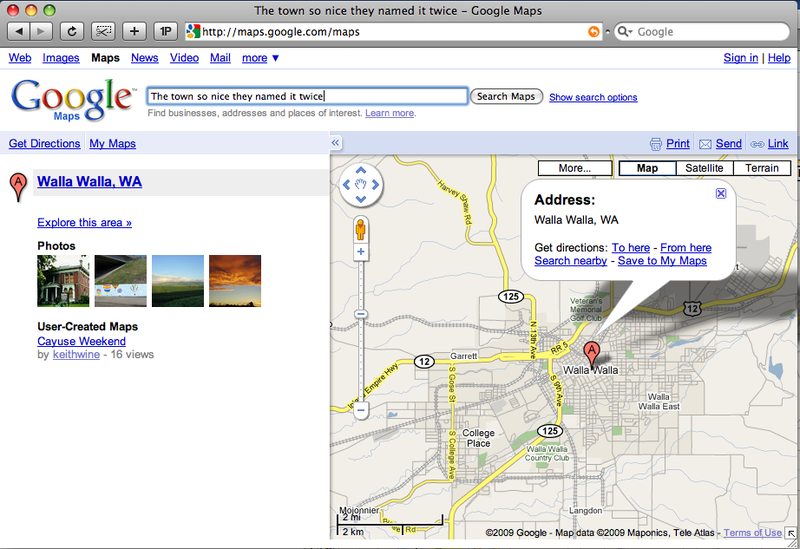 Well, it seems like it’s not so much an Easter Egg but the result of the GMaps feature “Add a place to the map”. Mystery solved. I just added “City of Dreaming Spires” for Oxford and now it works! FWIW Toronto-Boston is about a 10-hour drive, probably 16 hours on a bus. There is a “Maple Leaf” Amtrak service from Toronto to NYC, not sure if you can change somewhere along it to go to Boston instead. But it was expensive the last time I looked. Ah, amtrak says you actually have to connect in NYC which means you have to do a 4-hour trip to NYC, then have a 5-hour connection from 2am-7am, then a 12-hour marathon trip with only a snack car on-board. Getting there after 21 hours.